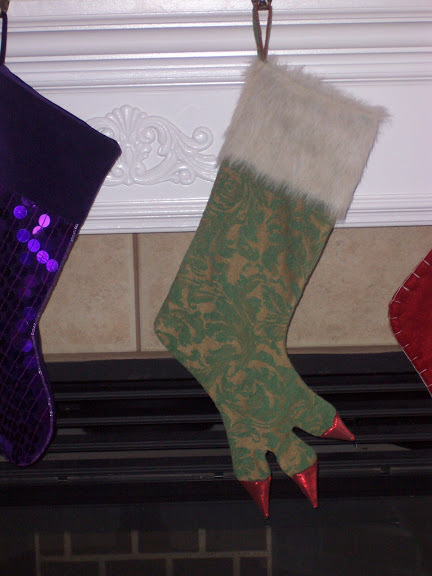 I’ve got a real weakness for stocking and stocking holders. 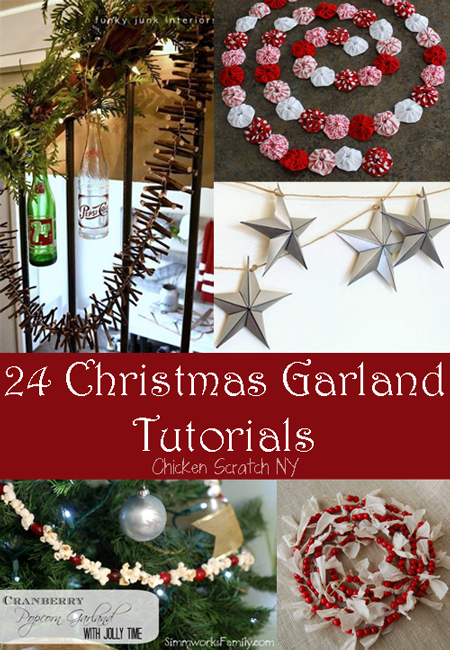 I’ve got a large collection of the latter and I use them to hold up ornaments, garlands and of course, stockings. 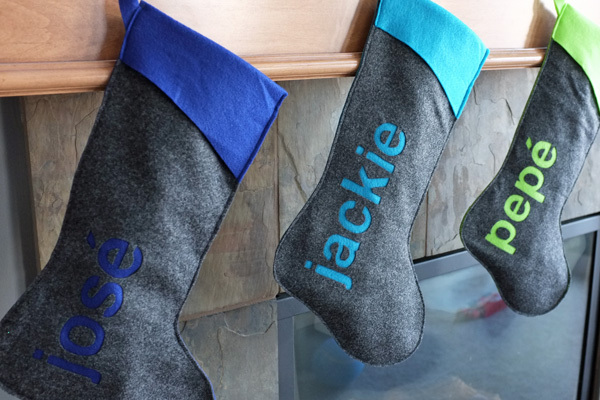 Last year I made new stockings from felt with a burlap cuff for Mike, the dog, the cat, the bunny and myself. This year I’ll have to make another three, one for the baby and one for Gumball and one for the kitten Mike decided to keep (occasionally refered to as “toilet cat” since he’s in love with the toilet). 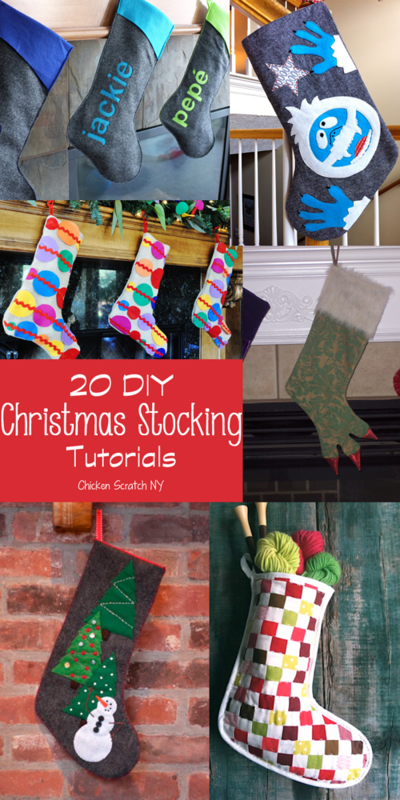 I’ll probably just stick with last years pattern (making 3 stockings is much easier than making 8, no matter how simple the method!). That didn’t stop me from browsing Pinterest in search of some new ideas. 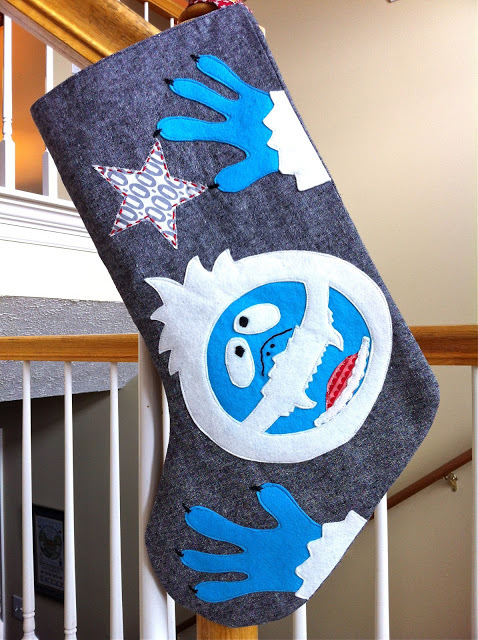 Abominable Snowman Stocking Tutorial from A Little Gray – Bumble is one of my true loves, I had slippers (I now have 1, thanks Alfie), a few ornaments and a stuffed animal that sings. What I don’t have is this, and I find that heart breaking. Wouldn’t he look adorable on a pillow? 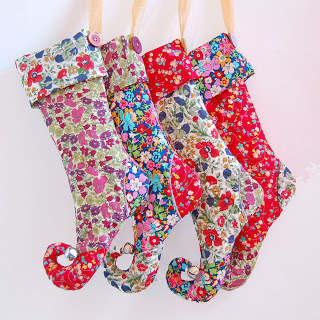 Strip Pieced Stockings from Purlbee- Before you panic over cutting out thousands of tiny squares check out the tutorial, it’s made with much quicker strip piecing. It’s finished with bias binding that looks almost like a frame. 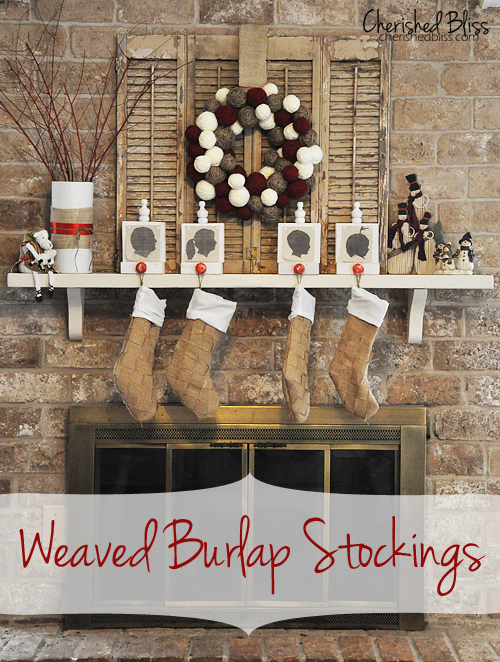 Woven Burlap Stockings from Cherished Bliss – Burlap is perfect for adding texture, weaving burlap takes that to a whole new level! 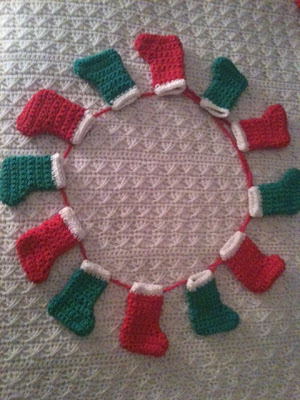 Even if I don’t make these stockings I bet I’ll be weaving some burlap together some day soon. 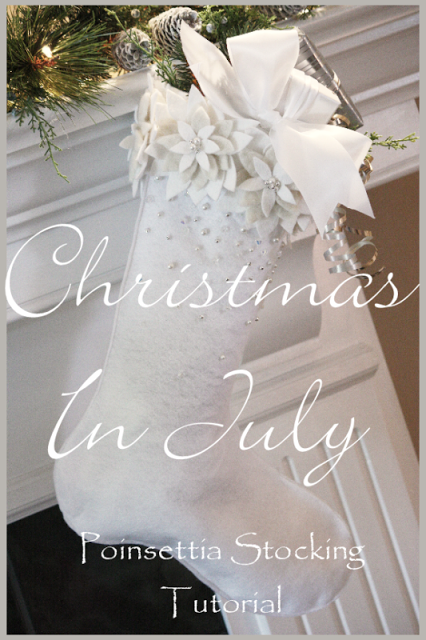 Poinsettia Stocking from StoneGable – Christmas is the only time of year I truly embrace white-on-white colors schemes, usually I want color every where. I love the simplicity of the color and shape with the gorgeous flower details and the cascading stones. 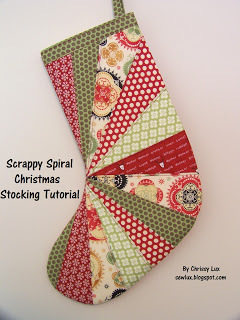 Scrappy Spiral Stocking Tutorial from Sew Lux Fabric and Gifts – This one’s a bit more complicated than the others, it requires paper piecing (which makes my brain hurt) but it’s completely do able. 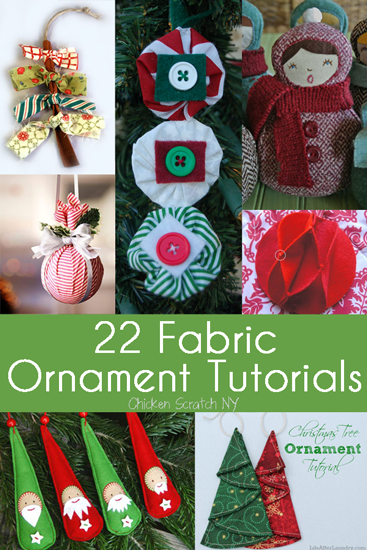 This is a great design to show off pretty fabrics too. 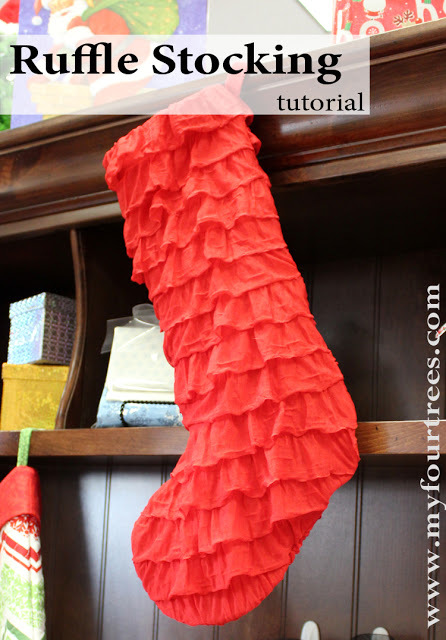 Ruffled Christmas Stocking Tutorial from Fabric Mill – Take advantage of a fancy fabric to kick your simple stocking up a bit. 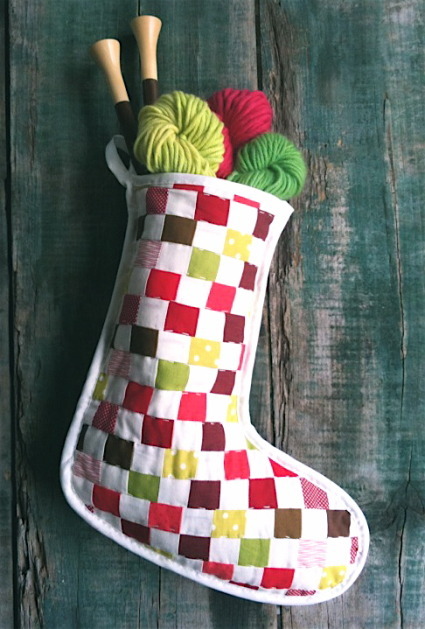 Christmas Stocking from Fabric Worm – This is your super basic stocking pattern. This is the one you want if you have an awesome fabric you want to show off. 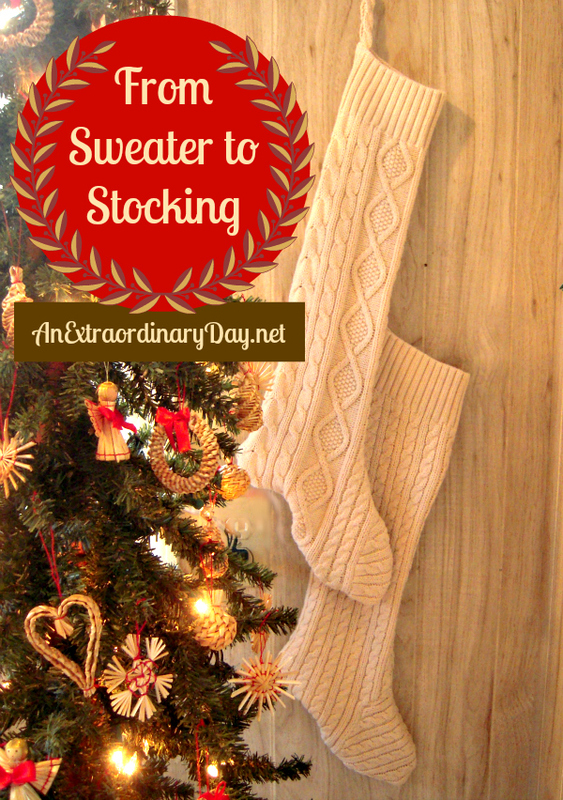 Sweater to Christmas Stocking from An Extraordinary Day – If I’m being honest this is one of my favorites. I love the detailed cable work and the fact that you don’t have the knit them. Knitting is my craft nemesis. Not to mention you can find sweaters for so cheap! 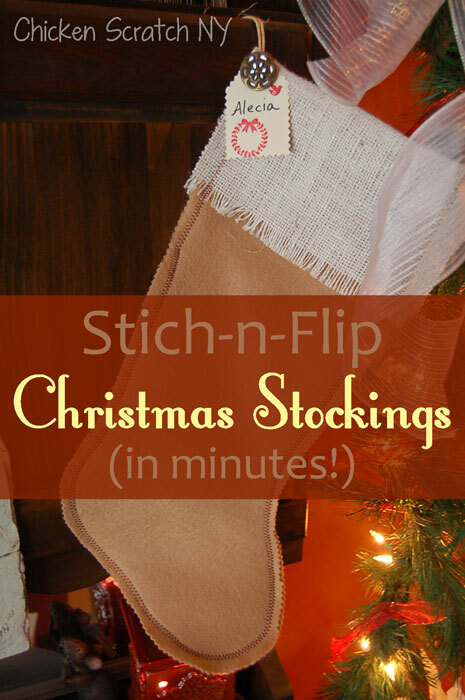 Burlap and Satin Stockings from Make It Love It – I love the combo of the pleated satin and the rough burlap. 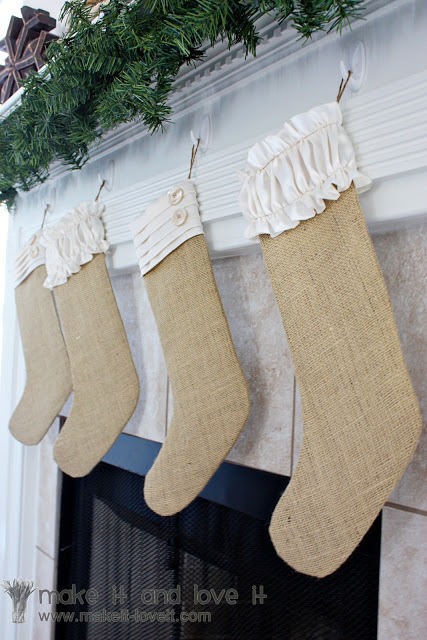 These stockings are definitely the classiest burlap stockings I’ve seen. Ruffle Stocking Tutorial from The Life of Jennifer Dawn -If you love ruffles but are leery of the work involved you’ll love these. The ruffle and yo-yo are made from felt and require no tedious finishing work. 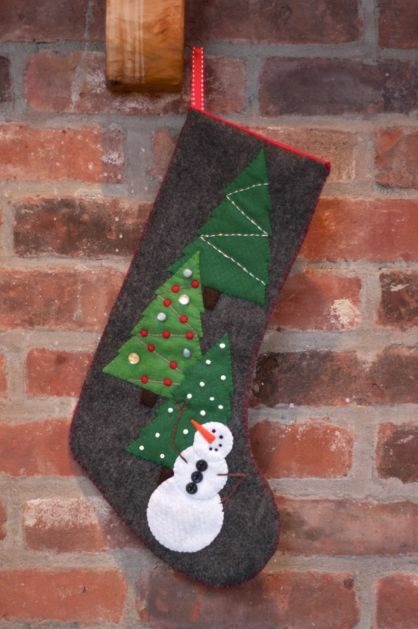 Snowman Stocking from The Zen of Making – This felt stocking tutorial comes with a printable pattern. I love how you can decorate each tree differently, maybe add a banner to one with a name on it for personalization? 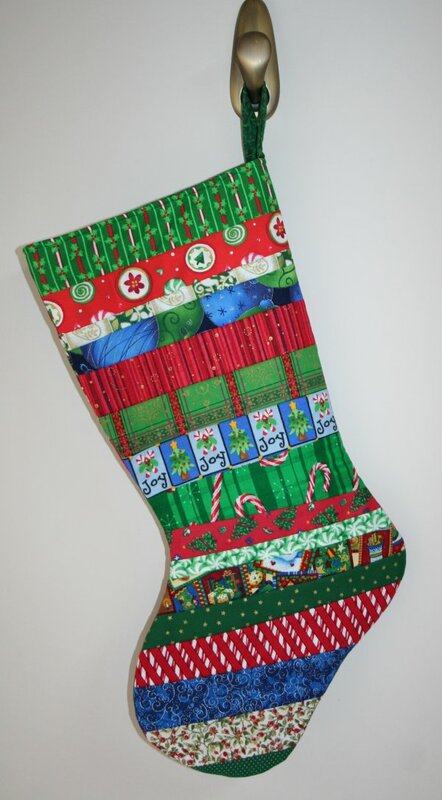 Christmas Stocking with Rick Rack and Ruffles from Ta Da! Creations – These stockings have a lot going on, from rick rack detailing to embroidered cuffs and a pretty little ruffle, there is something for everyone. Not to mention how adorable those ginger bread men are! 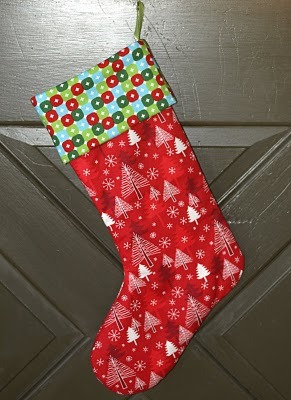 Reverse Applique Stockings from Teal and Lime – If you aren’t familiar with reverse applique this is a great project to break you in. I love the gradient of colors used for these stockings, the lime really pops against the dark grey! 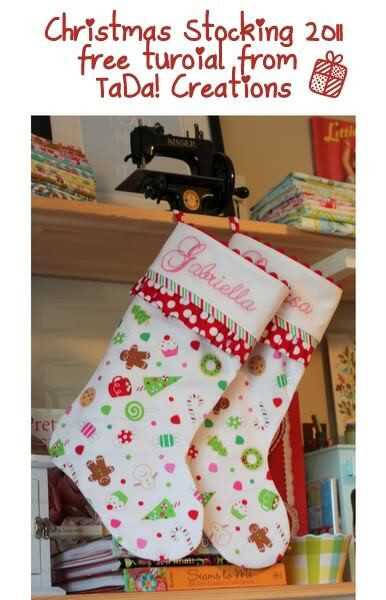 Dog Paw Stockings from Spoonful – Don’t leave out your furry friends! 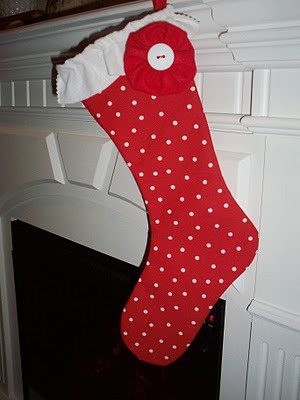 We usually make regular stockings for our pets but this is a cute option too! 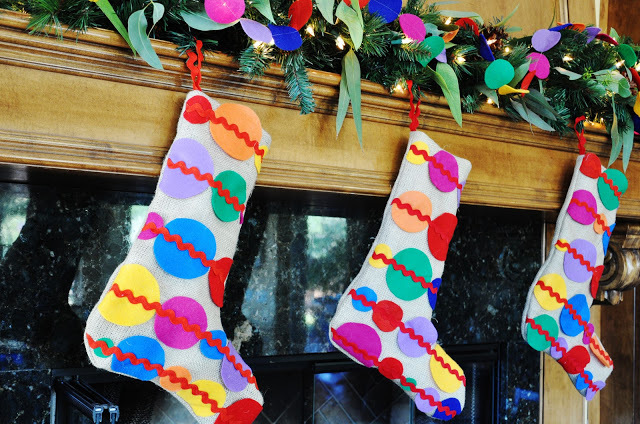 Thanks so much for featuring my sweater stocking in the round-up and for the nice things you said too! Wishing you and your a blessed Thanksgiving! !